Thanks to the mild, wet Atlantic climate, our hens have tender pastures available for them to feed on all year round. 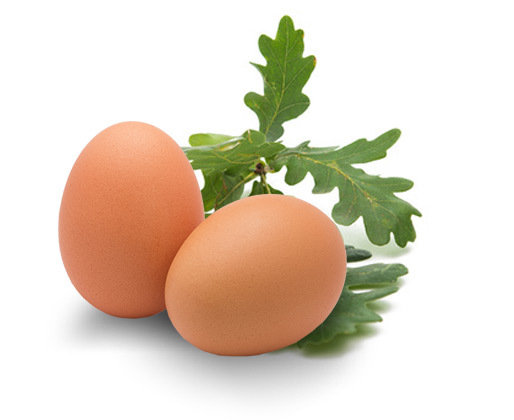 Our main products are eggs from pasture-raised hens, sold by the main distribution chains under the category of ‘free-range eggs’. 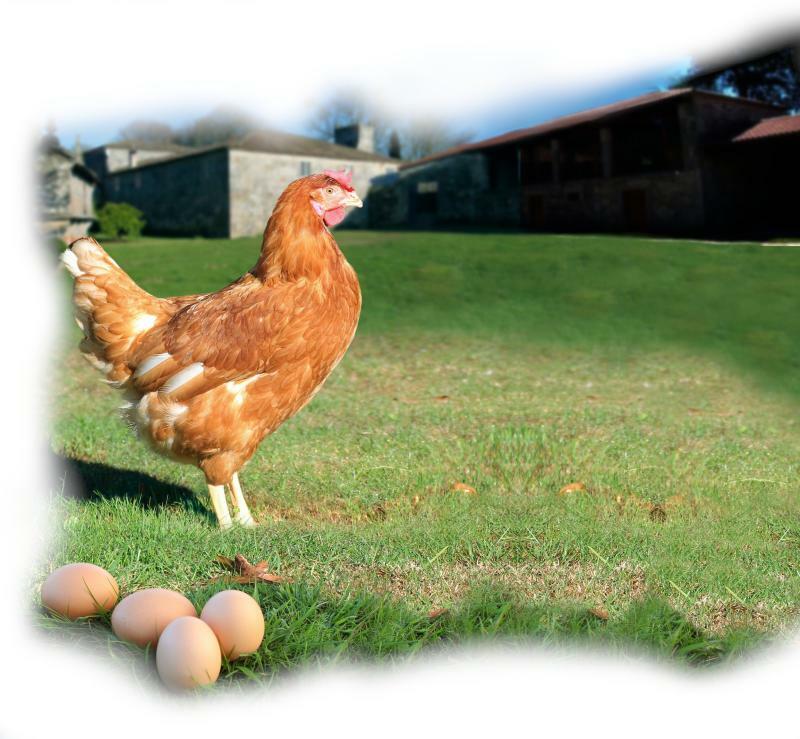 The quality of our eggs lies in the way we at Pazo de Vilane focus on and look after our hens, the quality of the cereal they eat, the environment of the coops, the way we maintain their nests to keep them clean and also our care for the areas where they forage freely, which we look after by planting trees and preserving aquifers. 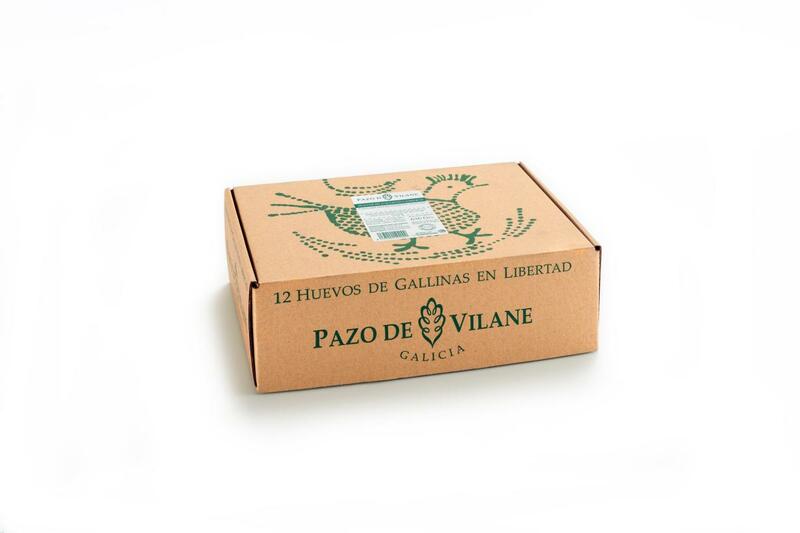 Our hens enjoy fresh, tender pastures all year round thanks to the mild, rainy Galician climate. This is a key feature of Pazo de Vilane’s free-range eggs, as the hens obtain nutrients that give the eggs a valuable difference. This approach to work, our philosophy and life in such a privileged environment as Galicia all allow us to offer free-range eggs of top quality in terms of their nutritional content and taste. The collection process ends on monitoring the final product. We comply with the ISO 22000 standard on food safety, which establishes food management protocols, monitoring of the suitability of the final product, cleaning and disinfection protocols, and a comprehensive training programme for our staff. Lastly, these internal working systems are certified and endorsed by two external bodies – Galicia Calidade and AENOR – which guarantee the objectivity and verification of these systems. Every morning, the free-range eggs laid by our hens are collected by hand. Once the eggs reach our packaging premises, a team of workers assembles each carton by hand, and the eggs are carefully placed in the cartons. The box is one of Pazo de Vilane’s most notable hallmarks. This design, registered since 1996, has garnered a unique host of meanings, becoming the symbol for free-range eggs and evoking concepts such as nature, artisan work, Galicia and many more. It is an item we are particularly proud of, and one which demonstrates our sustainable approach. Indeed, it has received several design awards and has been featured in different exhibitions since it was launched, including an exhibition held in Madrid’s Reina Sofía Museum.